Are you coming from Barcelona? 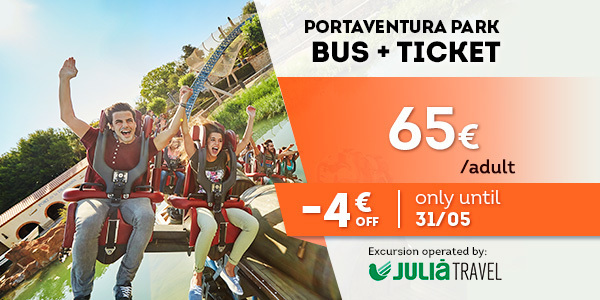 We offer you the perfect option to enjoy the best trip ever at PortAventura World. 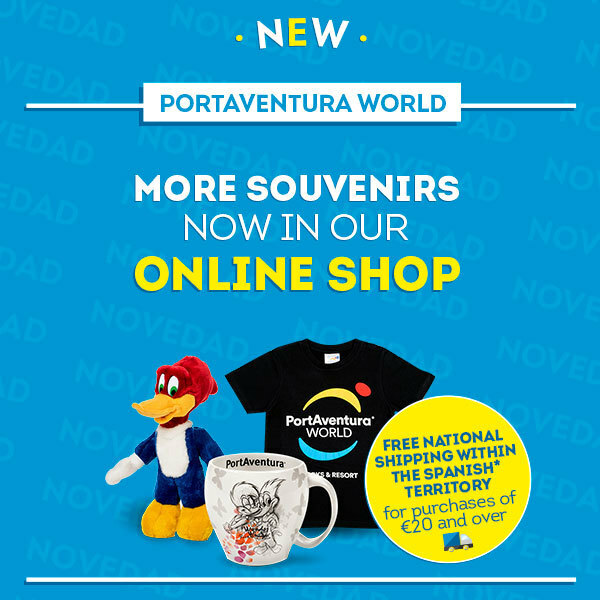 Come to visit us from Barcelona and spend the day at PortAventura World. 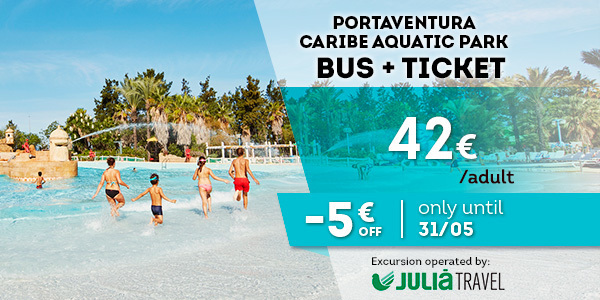 Experience the adrenaline of the exhilarating rides, discover the spectacular shows at PortAventura Park or dive into the most refreshing summer at PortAventura Caribe Aquatic Park. 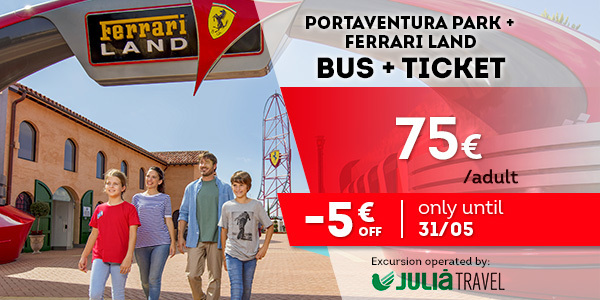 And don’t miss the opportunity to explore Ferrari Land – a theme park that is unique in Europe where you can experience the thrills of the legendary Italian scuderia. You choose your own experience! Trip adult : 11 – 59 years old / junior: 4 – 10 years old / senior: 60+ years old. Entry valid from 06/04/2019 to 06/01/2020, both dates inclusive. 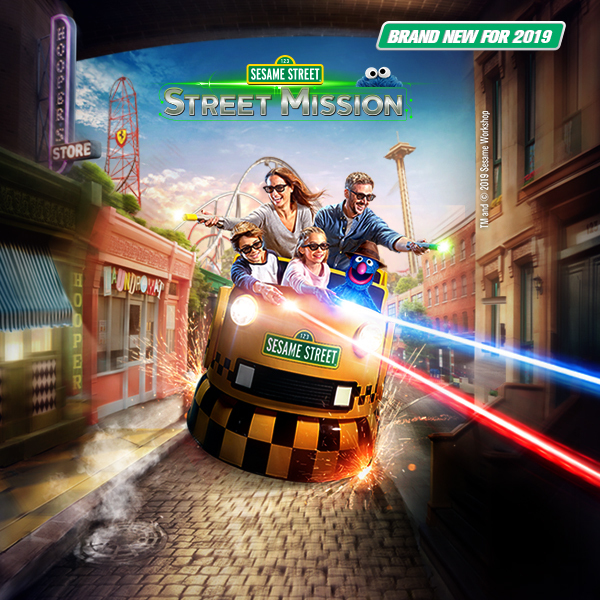 Park open from 06/04/2019 to 06/01/2020, except from 04/11/2019 to 20/12/2019, when the park only opens weekends except for 06/12/2019 to 08/12/2019, when the park will be open. Entry valid from 06/04/2019 to 06/01/2020, both dates inclusive. 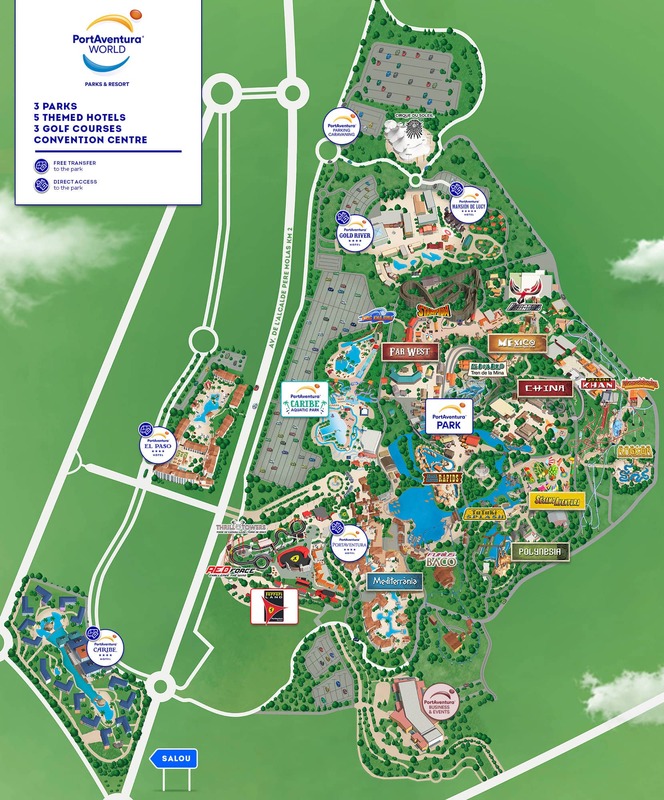 Both parks open from 06/04/2019 to 06/01/2020, except from 04/11/2019 to 20/12/2019, when the parks only open weekends except for 06/12/2019 to 08/12/2019, when the parks will be open. Entry valid from 01/06/2019 to 15/09/2019, both dates inclusive. 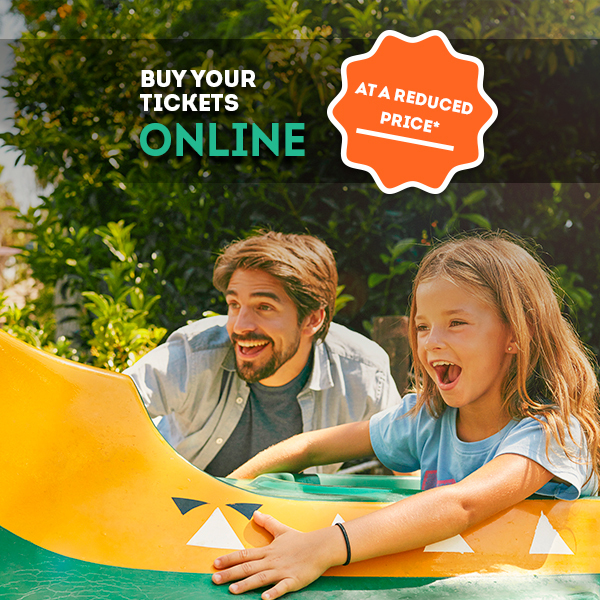 Enjoy our parks at a reduced price with this online ticket promotion. 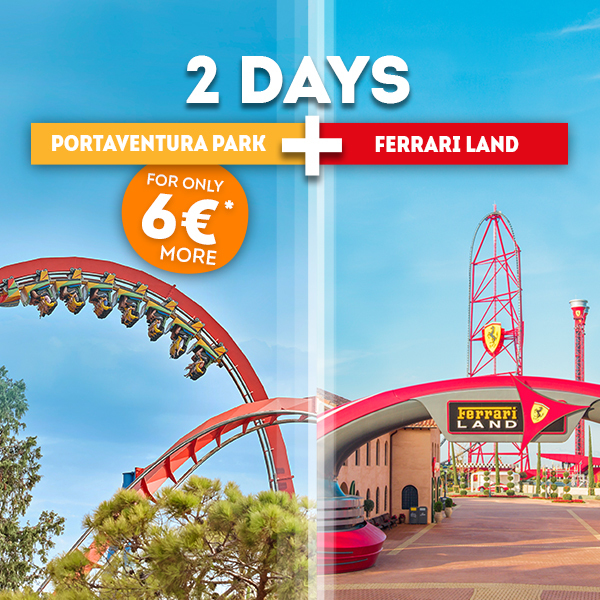 Discover PortAventura Park and Ferrari Land at an incredible price! 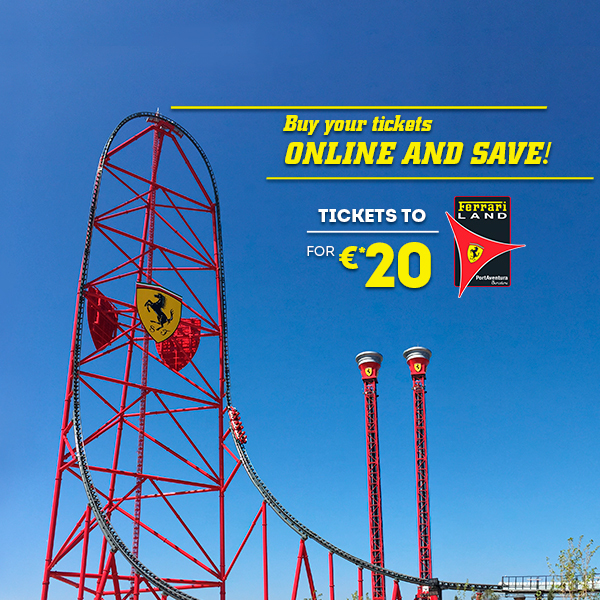 Take advantage of your day out and come and enjoy the PortAventura World parks. Don’t miss a thing! 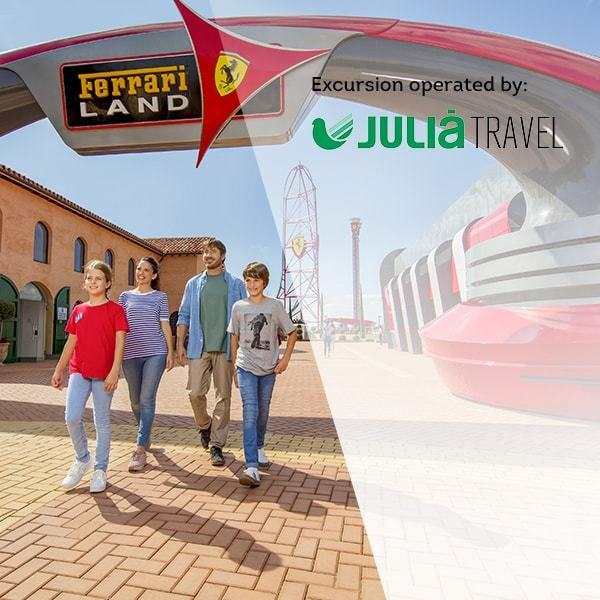 A whole host of items featuring your favourite park are just a click away!